There was a lot of news coverage of Google‘s announcement regarding smart contact lenses last week! The original Google blog post is Introducing our smart contact lens project, and some of the many reporting articles are Google Unveils Smart Contact Lens That Lets Diabetics Measure Their Glucose Levels, Google unveils ‘smart contact lens’ to measure glucose levels, and Google developing smart contact lens. 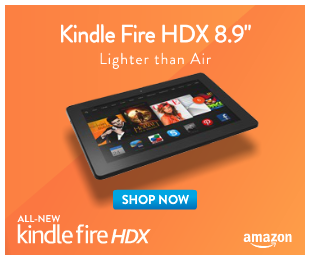 A friend brought Amazon‘s latest announcement to my attention today – Prime Air! I think it is really impressive, although I am not sure if Amazon’s goods are particularly suitable. My Amazon orders tend to be bulky, relatively heavy for air lifting, and fragile! Several people have questioned if this is a hoax, but I think it is believable! This evening I read that Doug Engelbart, the inventor of the mouse, died. See Computer mouse inventor Doug Engelbart dies at 88. I had never heard of him before today, and it never dawned on me to think about how the mouse that we all use every day came into existence! So thank you Mr. Engelbart for your invention, and may you rest in peace. The maker of the Raspberry Pi has released an add-on digital camera, according to Creators of Raspberry Pi computer announce $25 camera module. I bet this will be popular! This is really impressive visual insight into Google‘s data centres – Google Data Centres. There is an interesting story (and demonstrative video) of a new approach to robotic walking in ‘Most realistic’ robot legs developed. I read that HP was recently granted a patent for transparent glass screen technology. It sounds interesting, and it could enable a new wave of devices. For more details see HP’s see-through screen proposals secure US patent.